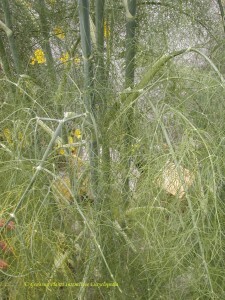 Foeniculum vulgare - Commonly known as green or garden fennel. 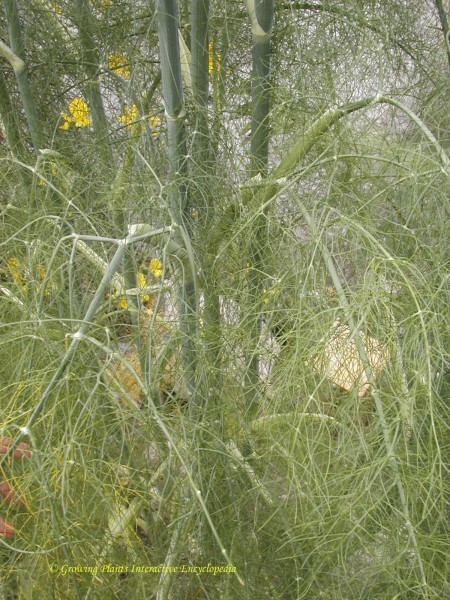 Structural herb that towers over other, height & Spread 2m x 45cm. 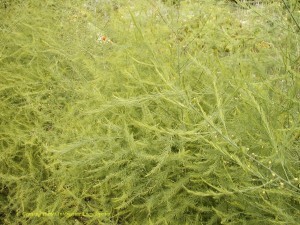 Wonderful with fish dishes or in sauces. 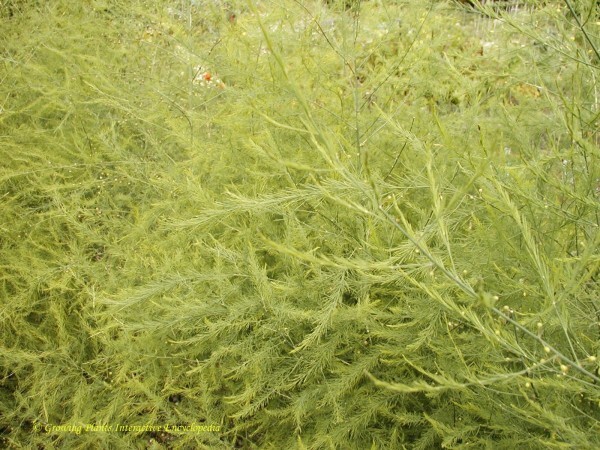 Also looks great in mixed borders to add height. Soil conditions: Wide range of soil type. Moderate to shallow depth. well drained. Low salinity. Medium to high fertility. Cultivation methods: Harvesting may start in Late summer. Harvesting may end in Mid autumn. Pests, diseases or disorders: Cool conditions, lack of water. Natural habitat: Found most often in dry stony calcareous soils near the sea. Lives from 3 to 10 years.